ILLUMINATED STAR (DIO), MULTIMEDIA PACKAGE, PANORAMA SUNROOF, SATIN BROWN POPLAR WOOD TRIM, BLIND SPOT ASSIST, PREMIUM PACKAGE, CIRRUS WHITE *Note - For third party subscriptions or services, please contact the dealer for more information. * Drive home in your new pre-owned vehicle with the knowledge you're fully backed by the CARFAX Buyback Guarantee. This vehicle is Certified Pre-Owned. The Mercedes-Benz GLA is the benchmark all other SUVs strive to meet. With exceptional power, towing and handling, this SUV can handle anything thrown at it. The less money you spend at the pump, the more money you'll have to spend on you. So why not consider this wonderfully styled, fuel-efficient Mercedes-Benz GLA. 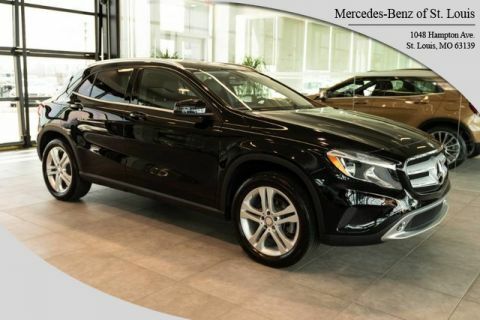 The GLA GLA 250 is well maintained and has just 22,074mi. This low amount of miles makes this vehicle incomparable to the competition. Want a mobile theater? This Mercedes-Benz GLA has a premium entertainment package that will keep your passengers entertained with superb enjoyment. Left your phone at the restaurant? No problem. 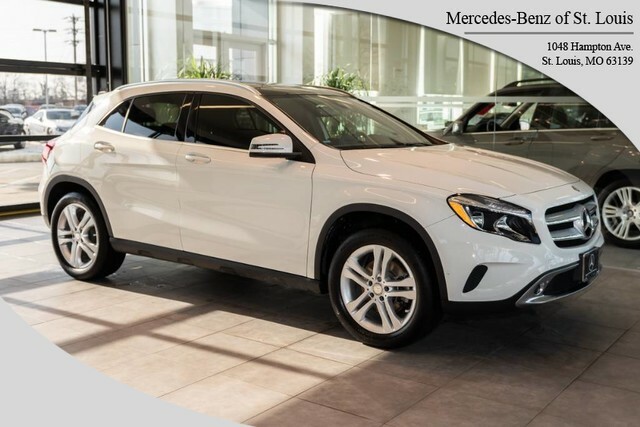 With the navigation system on this Mercedes-Benz GLA, you'll be able to quickly find your way back to get it. More information about the 2016 Mercedes-Benz GLA: Mercedes-Benz enters the increasingly crowded luxury compact crossover segment with the GLA-Class. Its sedan underpinnings and small stature make it a nimble performer, with favorable comparison against competition from BMW and Audi. The high-performance GLA 45 AMG® takes things to a different level, however, and nothing from any manufacturer can rival it. 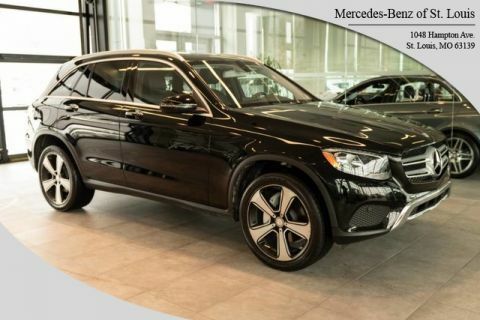 Strengths of this model include athletic handling, superb power in AMG® guise, and Available technology and safety features On-Line Sales Price may not include Mercedes Benz Certified Pre-Owned Warranty *CALL TO VERIFY PRICING AND WARRANTY INFORMATION. 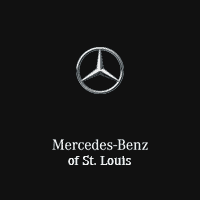 This 2016 Mercedes-Benz GLA GLA 250 is offered to you for sale by Mercedes Benz of St Louis. This vehicle is loaded with great features, plus it comes with the CARFAX BuyBack Guarantee. This vehicle has surpassed all inspections to achieve Certified Pre-Owned status. Off-road or on the street, this Mercedes-Benz GLA GLA 250 handles with ease. 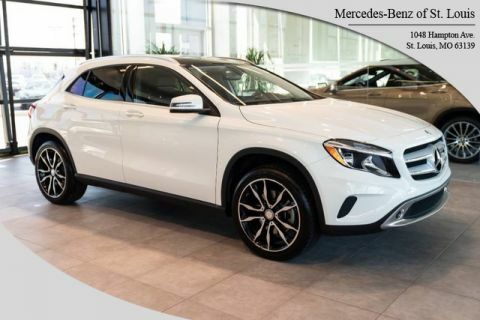 You could spend more on fuel each month than on your vehicle payments, so why not consider one with exceptional fuel economy like this 2016 Mercedes-Benz GLA. More information about the 2016 Mercedes-Benz GLA: Mercedes-Benz enters the increasingly crowded luxury compact crossover segment with the GLA-Class. Its sedan underpinnings and small stature make it a nimble performer, with favorable comparison against competition from BMW and Audi. The high-performance GLA 45 AMG® takes things to a different level, however, and nothing from any manufacturer can rival it. This model sets itself apart with athletic handling, superb power in AMG® guise, and Available technology and safety features On-Line Sales Price may not include Mercedes Benz Certified Pre-Owned Warranty *CALL TO VERIFY PRICING AND WARRANTY INFORMATION.